The Interface is the visible method with which your users interact with you. It’s the first thing they see. 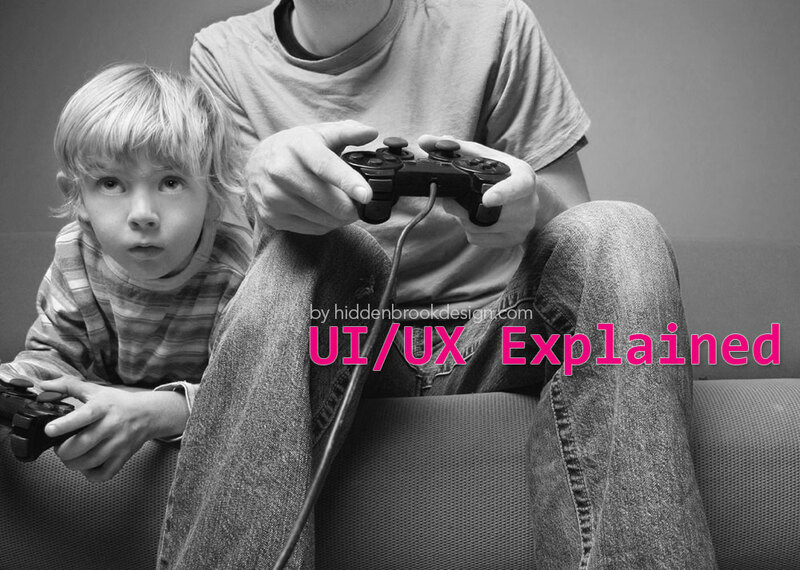 UI refers to the approach and elements that allow the user to interact with a system such as your website. This does not address details such as how the user reacts to the system, and if they like it and enjoy using it. User Interface Design (UI) is the visual part of the media. How the user perceives it. How does their eyes follow the content, design elements and structure. Is it easy within seconds to know where they need to go visually to get what they came for? This is vitally important and can be complex. Typography which is font family, font size, font color, font margins and line breaks, plays a key role. Another one is the use of color. First is it clearly branded and recognized immediate as your company. Then do the spacing, photos, art work and all design elements layout easy to the eye. All of these are key UI elements to any media created including print, websites, games, apps, and more. This is much more than just the end result of the user interface. Consider the user experience as the core of a brand. A brand being, the sum of the experiences that a person has with a company or organization. It’s about leaving the user with a good memory of your product and your company. Did it frustrate them to use your website or app? Did it feel like it took a long time to use it? OR Did they really love it and find it easy to use? Did they find it enjoyable to use? These are critical because if they didn’t enjoy it they will not only use it less or not at all, but they will also not recommend it. If they love it and enjoy it, then they will use it and tell others about it. Which plays into your Inbound Marketing Layered Strategy that generates more traffic = leads = sales. A site can be visually stunning but be difficult to use. So it’s vital that you not only look great but have a great personality. UI/UX need to always go hand in hand. We have visually shown an example of UI/UX here on this blog, but you may have missed it. In the picture with the guy up above this line, you’ll notice UI in play. It’s well designed from the photo shoot, lighting, to the layout and text placement. In the picture below (also in header) you’ll see UX at work. The kids are experiencing the design by engaging it. Get it? Hopefully we’ve help you understand it as we know it can be confusing. If you have any questions, feel free to Ask Us. Thanks! This article was posted in Design, UI/UX, Website Design. « What’s the value of a small business website?